Panasonic’s range of LX-series compacts have long garnered praise for their build and image quality, but interest in premium compacts has shifted to models featuring larger sensors. So the introduction of the LX100 featuring a Micro-Four-Thirds sensor usually found in the firm’s mirrorless models is somewhat unexpected. While slightly larger than previous LX models, it remains compact and features a collapsible Leica 24-75mm equivalent f1.7-2.8 zoom and a built-in 2,764k-dot EVF, which, curiously, the firm says covers the gamut of Adobe RGB. In addition to the sloping rangefinder top-plate, it has manual mechanical controls, and a hot shoe but no built-in flash (although an external flash is bundled). The sensor is the same 16-Mpix unit as that found on the firm’s mirrorless cameras, but like previous LX models, this camera has multi-aspect ratios to maintain the angle of view. It means the pixel count never exceeds 12.7-Mpix, but it allows a smaller than expected lens. 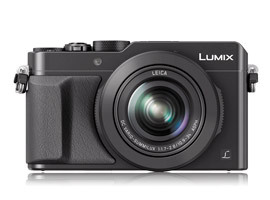 Other features include a fixed 3.0″ 921k-dot LCD (unfortunately not touch-sensitive like other Lumix bodies), continuous shooting of up to 11 fps at full resolution, sensitivity up to ISO 25,600, and WiFi with NFC for remote operation. Not unexpectedly, the LX100 has a wide range of video features, including 4K UHD (3840 x 2160) at 30/24fps in MP4 (but only up to 15 minutes in duration), plus Full HD at 60fps, in AVCHD and MP4, stereo audio, and focus peaking. Although not exactly pocket-sized, it’s still reassuringly small, measuring just 4.5 x 2.6 x 2.2″ / 114.8 x 66.2 x 55.0 mm and weighing 13.86 oz / 393 g with battery and SD card. It is available to pre-order at $899 in black or chrome finish. Light Speed AF using Depth from Defocus AF tech’. 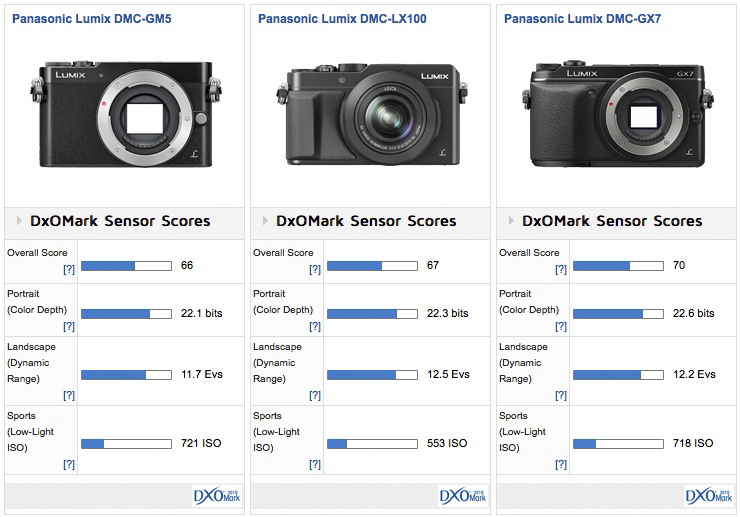 Achieving a DxOMark score of 67 points, the sensor in the LX100 ranks in 118th place in the DxOMark database of all sensor formats and in 10th place for Micro-Four-Thirds, which is only slightly below the best in this format, the Lumix GH4 with a score of 74 points. Color depth measured at 22.3 bits is on par for the related sensor found in other Panasonic cameras, such as the recently-tested Lumix DMC-GM5 model, but the Dynamic range of 12.5 EVs is a good result, even if the low-light ISO score of 553 ISO isn’t as high and restricts the overall performance. For noticeable improvement in low-light capabilities a larger sensor is needed, such as that found in the APS-C Ricoh GR. Although it has a fixed focal length lens, it has a low-light score of 972 ISO (plus better DR and Color sensitivity) and an overall DxOMark score of 78 points. Compared to Panasonic’s recently-introduced Lumix DMC-GM5 and higher-end DMC-GX7, the new LX100 sits between the two in performance and appears to have a sensor related to both models, even though there’s around a one-quarter stop advantage in low-light over the LX100. 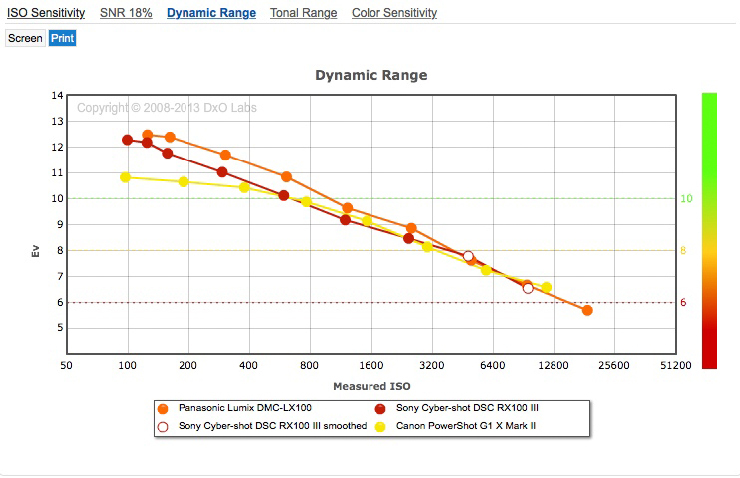 DR and Color sensitivity at low ISO in particular are some of the sensor’s stronger points. 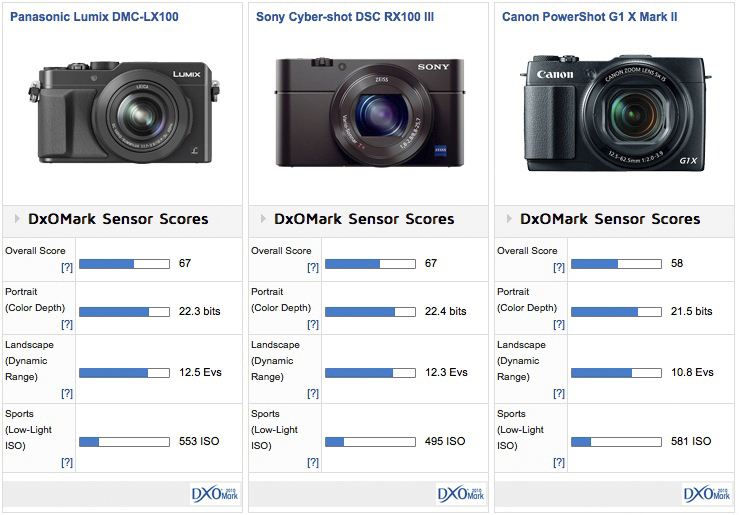 With a DxOMark score of 67 points, the 20-Mpix Sony Cyber-shot DSC RX100 III achieves an identical overall score to the LX100, while unsurprisingly perhaps, even the individual sub-totals are very close. What is a surprise is that the Sony has a smaller 1-inch type sensor, although it’s worth bearing in mind that that difference in sensor size isn’t quite as pronounced due to the smaller imaging circle of the Leica lens on the LX100. Even so, the Panasonic sensor is still 1.5 x that of the Sony in surface area. Interestingly, the Canon uses the same trick as the Panasonic (it also has a sensor that’s larger the lens imaging circle), but it is trumped by both models in DR and Color Sensitivity at lower ISOs. 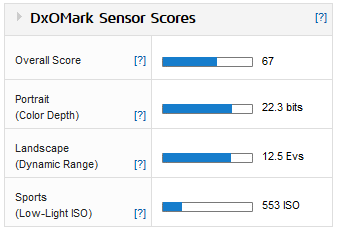 Typically the Canon performs well at higher ISO, but the poor results at base (and low ISOs) account for the 10-point difference in the DxOMark score between them, which equates to around a 2/3 stop difference in sensor performance overall. Overall the LX100 is only marginally ahead of the Sony in Color and DR, at least up to ISO 800. 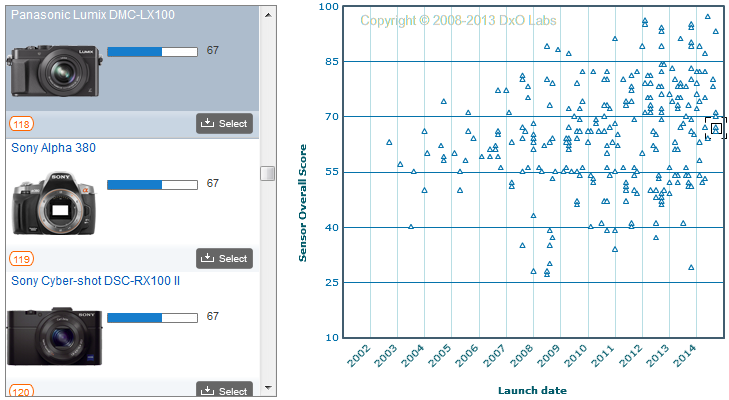 Above that, there’s not so much of a gap between them. Adopting a larger sensor than the lens can cover offers advantages in lens size and speed, but the trade-off is somewhat reduced sensor performance, particularly in respect to low-light capabilities. For all that, it’s still no worse than rival offerings, given that neither the Sony Cyber-shot RX100 III nor the Canon Power-Shot G1 X Mark II fare any better in low light. If that’s a restriction for your type of photography, larger sensor compacts such as the APS-C Ricoh GR and particularly the full-frame Sony DSC-RX1/1R have better performance, but there are tradeoffs, not the least being the daunting premium price for the Sony.